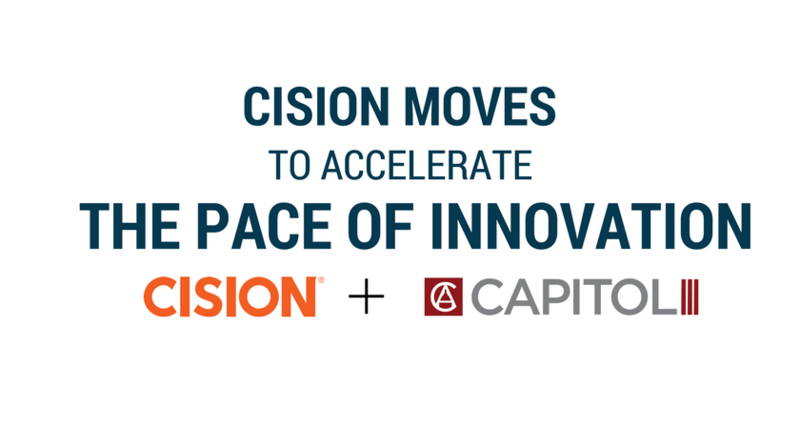 Cision has big ideas on the future of earned media technology; we’ve been moving fast, and we’re ready to move faster. This morning, we announced that in order to accelerate our pace of innovation, we intend to become a publicly listed company. We intend to do so via a combination with Capitol Acquisition Corp. III. You can read the full release for all the details. By doing this, Cision will gain a few important things: an influx of capital, a publicly traded stock as a currency, and material financial flexibility needed to make the investments we need to be the change agent and data/tech/measurement platform partner the industry needs. Most notably you’ll see us expanding features of the Cision Communications Cloud™ technology platform such as big data, measurement and Cision ID solutions. We expect the transaction to be completed by the second quarter of 2017, subject to approval by Capitol’s stockholders and other customary closing conditions. With the increased sophistication of marketing technology and the decrease in paid advertising efficacy, we’re seeing corporate marketing departments shift their focus and investment toward earned media. This is why we’ve invested so heavily in the Cision Communications Cloud. Customers rely on Cision to provide data-driven content solutions, identify key influencers, craft campaigns, and attribute value to their businesses for those efforts. Now, we’re doubling down on that mission. With more resources to invest in our core products, infrastructure and services, and most importantly, data and true earned media attribution vs. just traditional “PR vanity metrics”, Cision can allow our marketing and communications professional customers to transform their lines of business, with one powerful integrated platform instead of a dozen fragmented point solutions. To be clear, there will be no retirement of any of the specific products and services you use today to worry about. 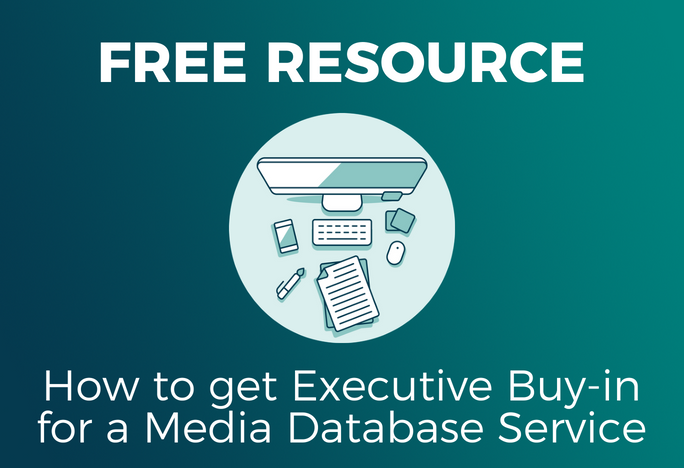 You can continue to use your service, just as you’re using it — while also knowing that this evolution on our part will translate into product and service enhancements that reach you faster. We are not going to stop doing anything we’re doing for you right now – just going to lean in and make it better! Once the transaction is complete, I will continue as CEO, and the rest of my leadership team will stay intact. This does not signify any changes as far as who and how the company is led. However, we’re pleased that Capitol Chairman and CEO Mark Ein, and President and CFO Dyson Dryden, will join the company’s board of directors. 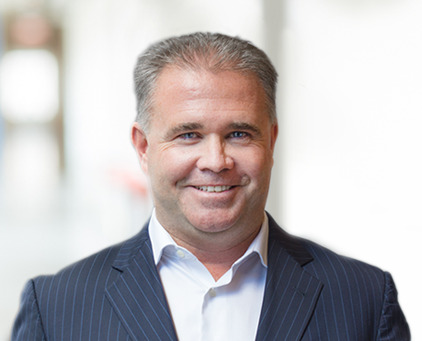 I firmly believe that we are extremely well-positioned to accelerate our growth as we continue to build and deliver leading marketing technology and analytics tools. Whether you’ve been a long-time customer or we recently piqued your interest with the Cision Communications Cloud, we appreciate you and look forward to continuing to serve you. Capitol Acquisition Corp. III (“Capitol”) and Canyon Holdings S.À R. L. and its affiliates (“Cision”) and their respective directors and executive officers, under SEC rules, may be deemed to be participants in the solicitation of proxies of Capitol’s stockholders in connection with the proposed transaction. Investors and security holders may obtain more detailed information regarding the names and interests in the proposed transaction of Capitol’s directors and officers in Capitol’s filings with the SEC, including Capitol’s Annual Report on Form 10-K for the fiscal year ended December 31, 2016, which was filed with the SEC on March 10, 2017. Information regarding the persons who may, under SEC rules, be deemed participants in the solicitation of proxies to Capitol’s shareholders in connection with the proposed business combination will be set forth in the Registration Statement for the proposed business combination when available. Additional information regarding the interests of participants in the solicitation of proxies in connection with the proposed business combination will be included in the Registration Statement that Capitol intends to cause the Company to file with the SEC. INVESTORS AND SECURITY HOLDERS OF CAPITOL AND CISION ARE URGED TO READ THE PROXY STATEMENT, PROSPECTUS AND OTHER RELEVANT DOCUMENTS THAT WILL BE FILED WITH THE SEC CAREFULLY AND IN THEIR ENTIRETY WHEN THEY BECOME AVAILABLE BECAUSE THEY WILL CONTAIN IMPORTANT INFORMATION ABOUT THE PROPOSED TRANSACTION. Investors and security holders will be able to obtain free copies of the proxy statement, prospectus and other documents containing important information about Capitol and Cision once such documents are filed with the SEC, through the website maintained by the SEC at www.sec.gov. Copies of the documents filed with the SEC by Capitol and/or Cision when and if available, can be obtained free of charge on Capitol’s website at www.capitolacquisition.com or by directing a written request to Capitol Acquisition Corp. III, 509 7th Street NW, Washington D.C. 20004 or by emailing info@capitolacquisition.com; and/or on Cision’s website at www.cision.com or by directing a written request to Cision, 130 East Randolph St. 7th Floor, Chicago, IL 60601 or by emailing askcision@cision.com.